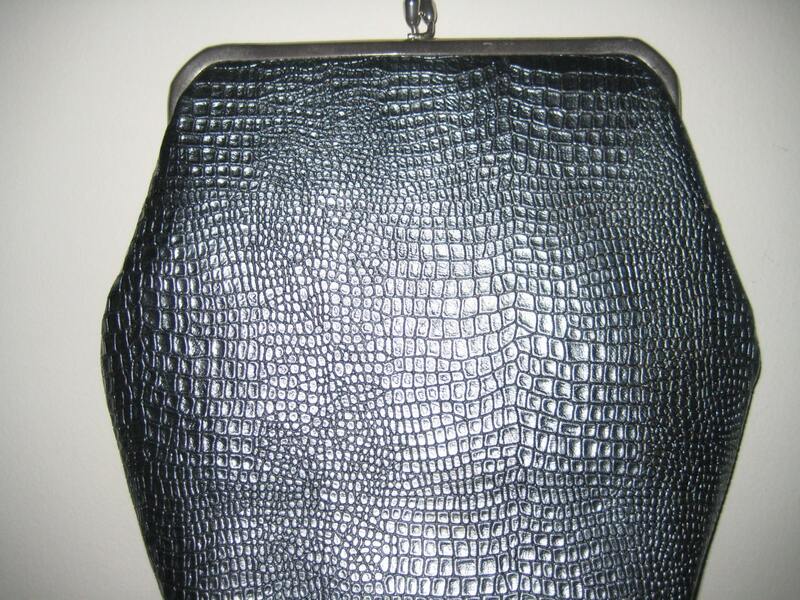 Fabulous vintage clutch perfect for under the arm wear. 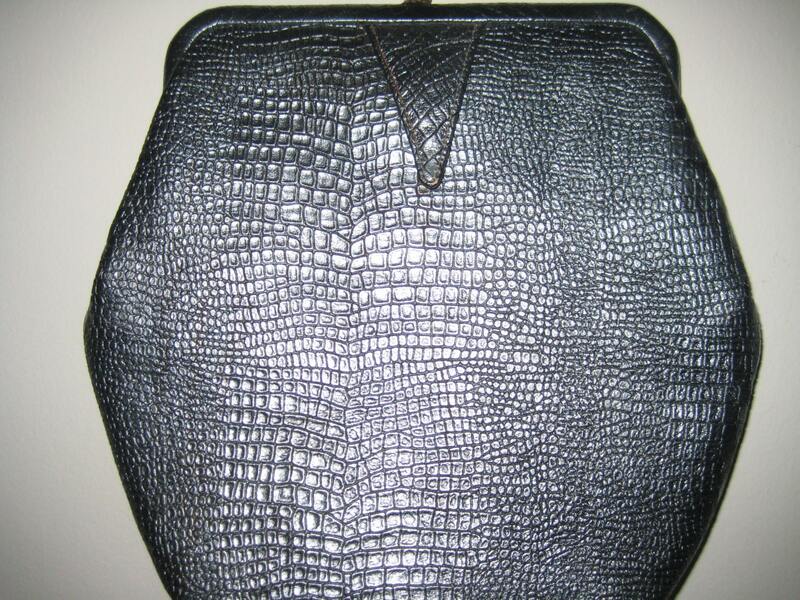 Faux lizzard design in gray leather. Original 50's Stylecraft Miami. Six sided framing. Kiss lock close in silver tone metal. Interior in really good condition. 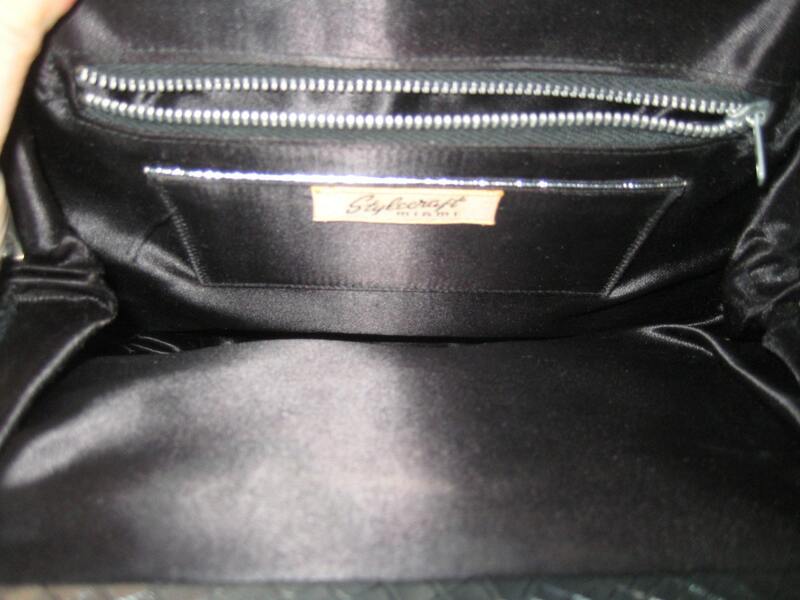 Black satin lining with one metal zippered pocket and one patch pocket. No holes or stains. Dimensions: 10 inches wide at widest point. 8 inches tall. 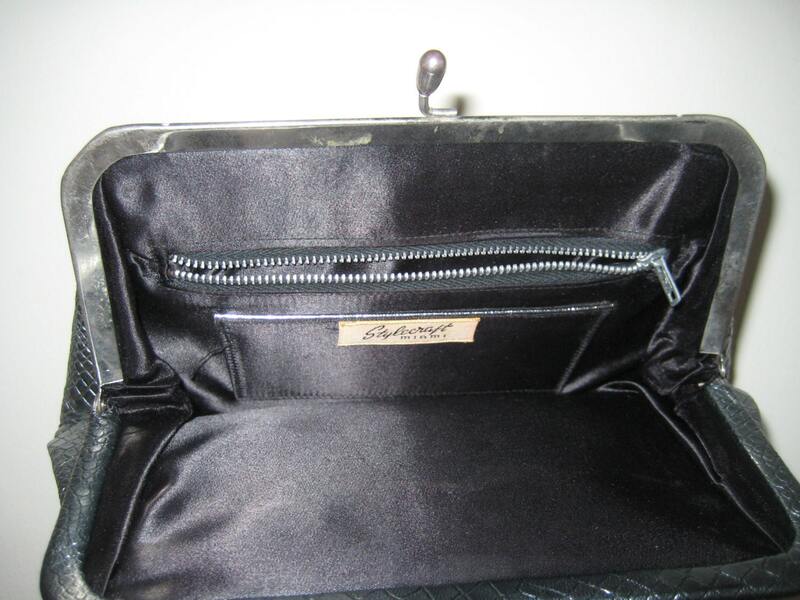 Quite an unusual clutch!